12:30 am - ??? MYSTERY GUEST ??? Rumor has it that the mystery band is going to be J. Navarro & The Traitors, Jay's newest project featuring Eric Abbey, Negus Arubis, Ken Haas, Steven Kachnowski, Jason Millbauer and Scott Vesey. These guys have been in the studio lately and we can't wait to check them out! 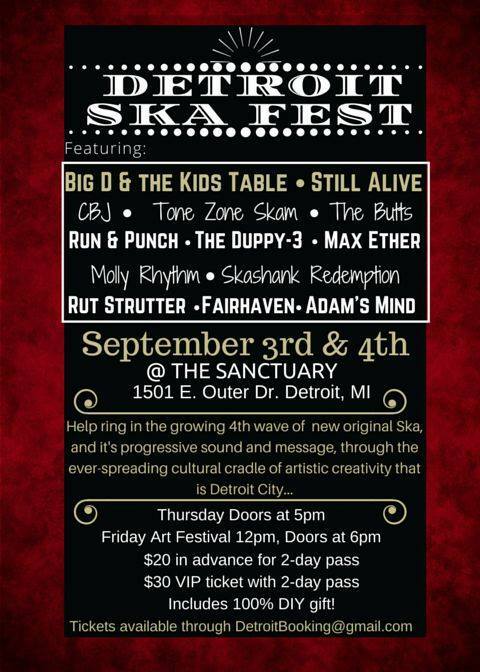 Tickets for the Detroit Ska Fest are $20 for both nights. 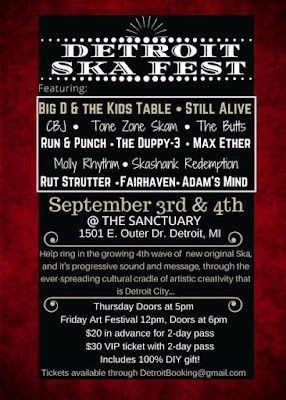 There isn't a website that you can buy tickets in advance through, but if you would like to reserve tickets, email Ignatius Wolf at detroitbooking@gmail.com. Doors will open at 6 p.m. each day and the music will start at 7 p.m. The Sanctuary is located at 1501 E. Outer Drive in Detroit. For more details on this festival and for descriptions of each of the bands, head over to the Facebook event page here.